Last week can best be described as a maelstrom. 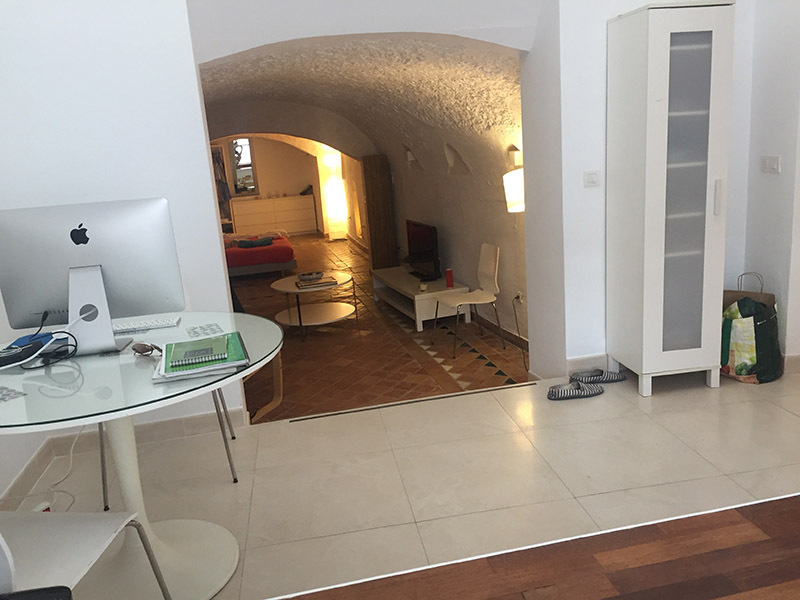 We moved to Granada on Sunday 1st October for the month and had to hit the ground running as soon as we arrived. The change raised all sorts of questions and we have spent much of the past fortnight week trying to answer as many of those questions as we can. This all sounds a little gloomy, but it’s not in reality. It just means that the next stage of our lives here in Spain has begun and a new set of adventures forms part of that stage. 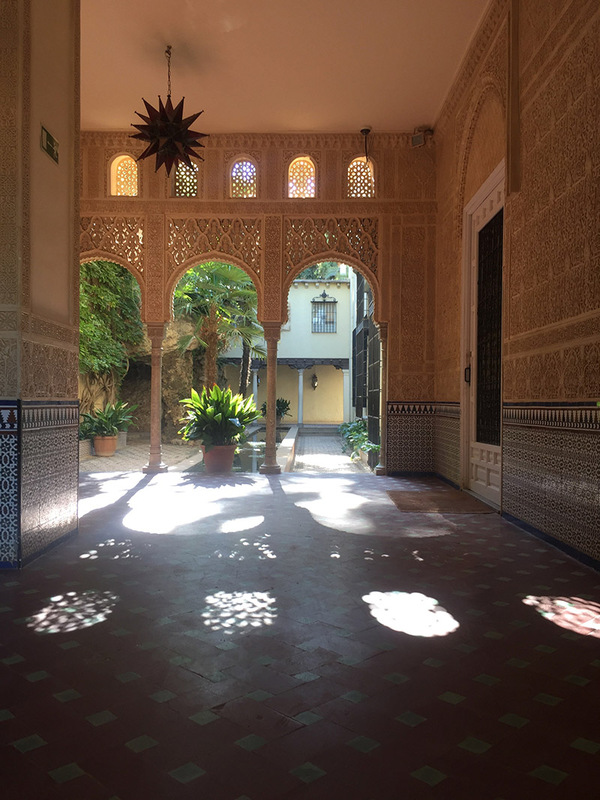 It has been difficult to adjust to life away from Casa Magdalena as we find ourselves in a neat little apartment, half of which is somewhere beneath the rock on which The Alhambra is built. We don't feel we have much in common with troglodytes and we're not entirely sure that cave-dwelling is really our thing, but it is a very convenient base. That said, we have realised that caves can be a little damp, slightly claustrophobic and, in parts, devoid of natural light. I wouldn’t mind if I were a bat, but I’m not. It is also slightly unpleasant brushing your teeth in a bathroom beneath a flurry of paint flakes that persistently drift from the cave ceiling as you conduct your daily bathroom regime. Speaking for both of us, we do miss Casa Magdalena! In the meantime, I find myself with two teaching jobs, rather by accident, and this has meant that I have been teaching, preparing and running between two language academies from 09:30 - 21:30 on most days. The idea that we would be able to spend this month experiencing the many delights (and there are many) of the city have been somewhat dashed as a result of these long days. I am also still churning out two radio programmes a week, and doing my utmost to find guests for one of those programmes (not always easy). So, a change it has been and I admit that on one day this week, suffering from a cold, on the bus back from teaching at 21:30, I had something of a sense of humour failure. Whoever said that “a change is as a good as a rest” needs a poke with a sharp stick; I need a rest! Thankfully, today is a public holiday here in Spain, el Dia de la Hispanidad, and it has provided a much-needed break. What else is on the cards? We will return to Casa Magdalena in November for the foreseeable future, but we are also looking in earnest for somewhere to buy. We did find a lovely little house, made an offer only for that offer to be rejected and the price of the house increased! The search continues, when we can find the time. Design work is flowing in regularly for Andrew, which keeps him off the streets, and he is now being represented by one of the leading image libraries in the UK - a huge boost for his new business. I think, after the hectic pace of the last two weeks, we are rather looking forward to this weekend. We are meeting up with friends. we will have a lovely breakfast somewhere where there is a view of this gorgeous city, take a walk, spend some time relaxing and gird our loins for another busy week. Yes, it has been busy, but we have found time to experience a few of Granada’s gems: the wonderful oasis that is the Carmen de los Martires, just beside the Alhambra; we recently saw an educational production of ‘Dracula’, produced by an English-speaking Theatre-in-Education company in a rather lovely community theatre on the edge of the city; we have found and been introduced to another collection of fabulous tapas bars; we’ve managed lunch, drinks and tapas with friends and I have discovered that the Spanish equivalent of Lemsip is not only delicious but highly efficacious!